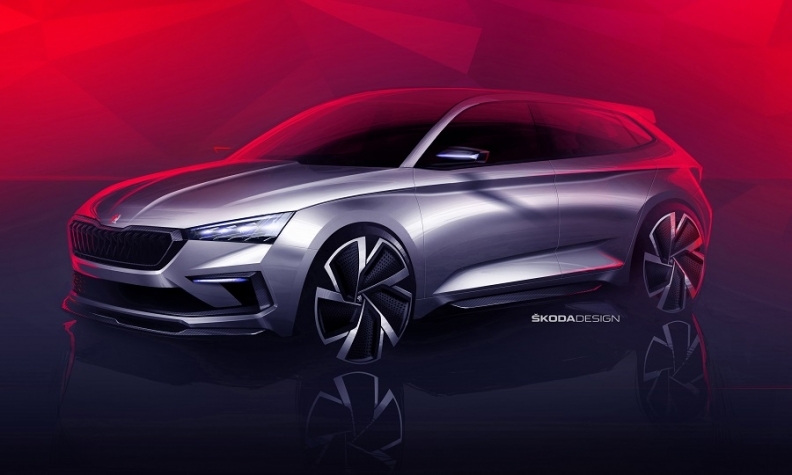 Skoda released Vision RS design sketches. It says the car's slim headlights, along with precise, flowing lines and distinctive contours give the car a dynamic appearance. Skoda will unveil a concept at the Paris auto show that media reports say previews a successor to its Rapid model. 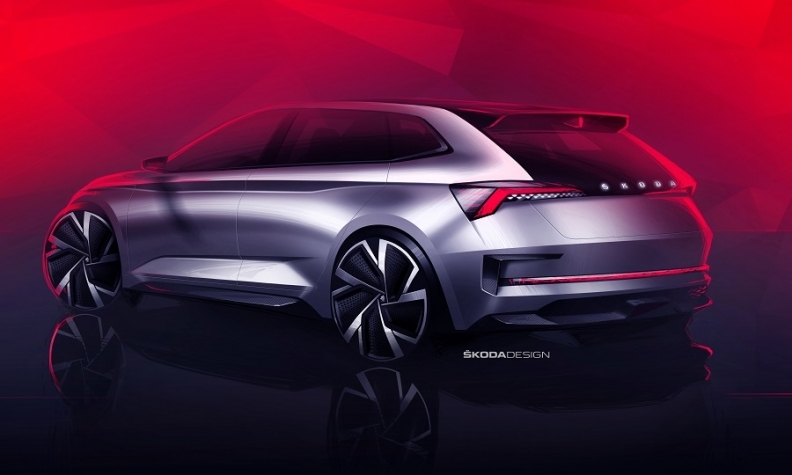 The Vision RS is "the first glimpse of a future compact car" that also previews how the brand’s sporting RS models (vRS in some markets) will evolve, Skoda said in a news release. The Rapid, which is smaller and more budget than Skoda’s Octavia compact car, was introduced in Europe in 2012. It is underpinned by the brand’s low-cost PQ platform, but reports say the new model will switch to parent Volkswagen Group’s entry MQB A0 platform. The Vision RS is 4,356mm long, 1,810mm wide and 1,431mm high. The length places the concept in between the current Rapid Spaceback hatchback and the Rapid notchback in terms of size. The Octavia hatchback is much bigger at 4,670mm long. The concept will have debut at the Paris auto show on Oct. 3. Skoda plans to expand its RS range and will also show an RS version of the Kodiaq midsize SUV in Paris. It will be powered by a twin-turbocharged diesel engine. RS stands for Rallye Sport and was first used by Skoda on the 180RS and 200RS rally prototypes in 1974. The current Rapid isn’t offered with an RS model. Skoda sold 35,206 Rapid models in Europe in the first six months, down 2.7 percent on the year before, according to market analysts JATO Dynamics. The car starts at 16,450 euros in Germany, making it much cheaper than the Octavia, which starts at 22,860 euros.